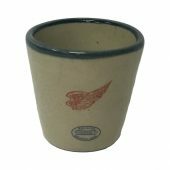 The highest quality stoneware drinkware you will find. 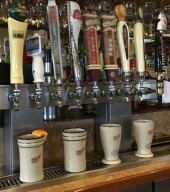 They keep your drinks hotter or colder longer. 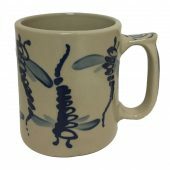 Red Wing Stoneware Artist Evan Prescott has hand painted these beautiful dragonfly mugs. 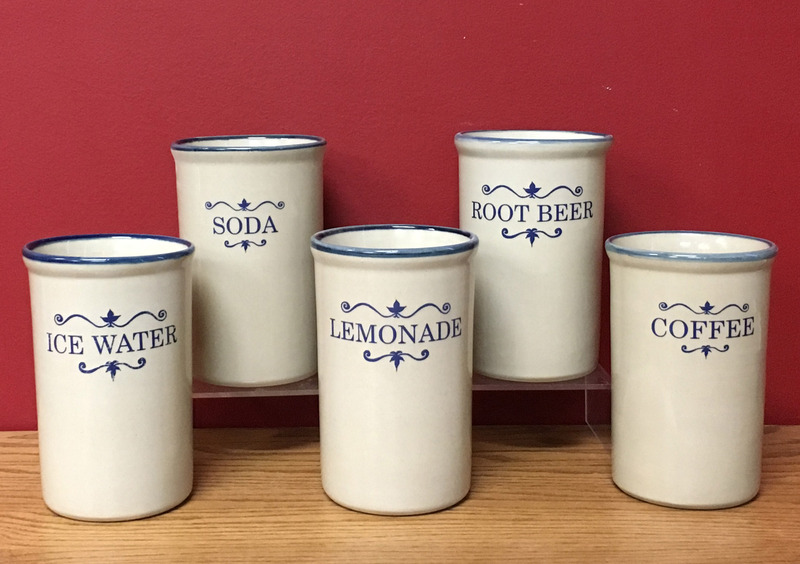 This is our standard 12 oz water cooler mug, but fancier! 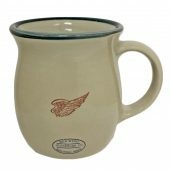 Crock style mug 10 oz. 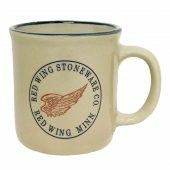 Savor a steaming hot cup of coffee, tea, hot chocolate, or broth with our beautifully crafted stoneware mugs. 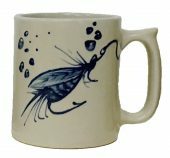 Do you need a perfect gift for a fishing nut or do you just want to add to your own tackle box? These stoneware lure mugs are hand painted by artist Evan Prescott. Choose one or a set of four. The set includes one of each the worm, topwater, fly and spoon mugs. 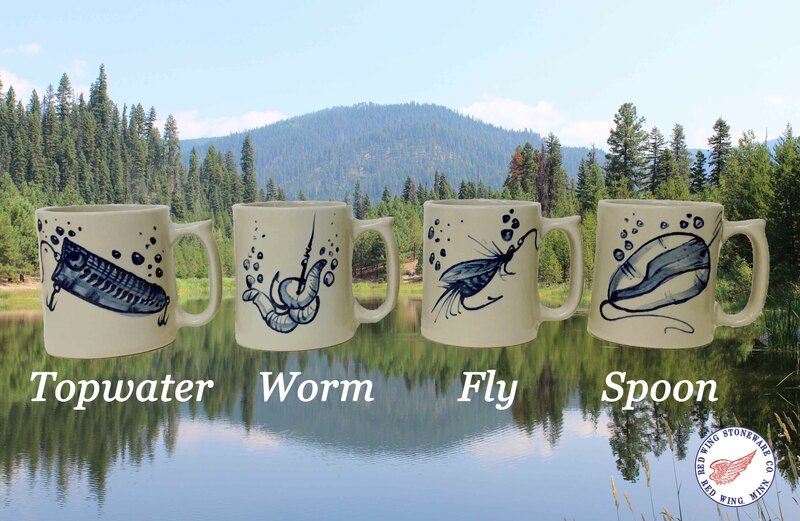 The set of 8 includes one each of the worm, topwater, fly, spoon, rattle, diver, jig & propeller. 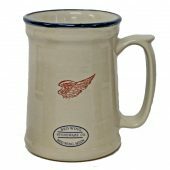 Mugs hold 12 oz. The side opposite the lure has the red wing decoration. These 5 oz pilsner tasters were made for beer tasting. They are the perfect size for a taste of beer or even a glass of wine. Rims come in various colors so you differentiate beverages. 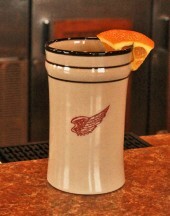 Order a set for your home bar or call to order a larger number for your business. Our best selling sota piece! 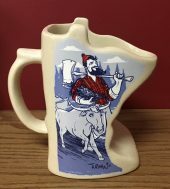 The SotaMug honors the unique shape of Minnesota in a mug designed for drinking coffee, tea, hot chocolate and other hot drinks. Nothing says Minnesota like Paul Bunyan and Babe, the Minnesota Loon or, of course, Minnesota “nice”. 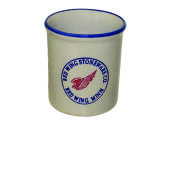 Like all our high-quality stoneware it is dishwasher and microwave safe. New and Improved Design! 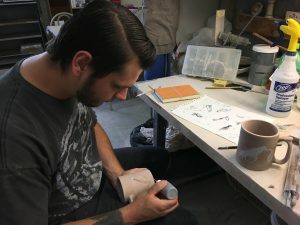 Mark has designed and hand thrown a new soup mug that is easy to hold, easy to use and easy on the eyes. Nothing warms up the soul like a hot cup of soup! This 18 oz. 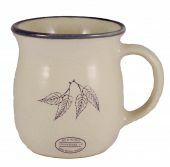 mug with loop handle is also great for hot cereal, stew, chili, salsa and sauces. Relax with a tall cold beverage after a long day or a workout at the gym. This 28 oz. 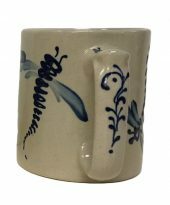 stoneware stein with large loop handle will surely become one of your favorite possessions. Great for those who want to increase their daily fluid intake. These 1 oz stoneware shots were made for an additional bump to your tasting pleasure. They can also be used for measuring a favorite mixer in either a liquor or espresso recipe. Take us with you when you are out and about. 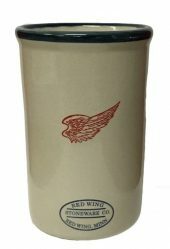 This 20 oz stoneware Travel mug is the perfect size for your coffee, tea or water at home as well. The lids are made out of silicone. 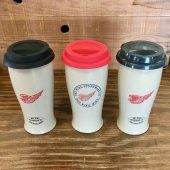 Therefore they contain no plastics and are BPA free, allowing both the lid and the mug to be microwave and dishwasher safe. This also allows you to reheat your beverage without removing the lid. Clay is the best natural insulator that we have. If you prefer a cold beverage in the summer time, feel free to pre-chill the mug in the freezer. 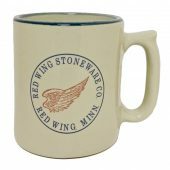 Savor a steamy hot cup of coffee, tea, hot chocolate or broth with our beautifully crafted stoneware mugs. Choose from several styles. Quench your thirst with beverages kept cold in this generous size tumbler. Patterns included are Red Wing, Root Beer, Iced Tea, Ice Water, Coffee, Soda & Lemonade. 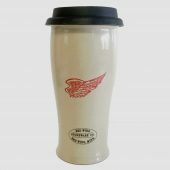 Water Cooler Mug 12 oz. These sturdy Wine Chillers are hand thrown by our potter Mark and then hand painted by our artist Evan. They are all beautiful one of a kind pieces. They have nice thick walls to keep your wine chilled. These will definitely dress up your table.